Life with Teens – Surviving Halloween - Scarsdale Premier Insurance Agency | Advocate Brokerage Corp. 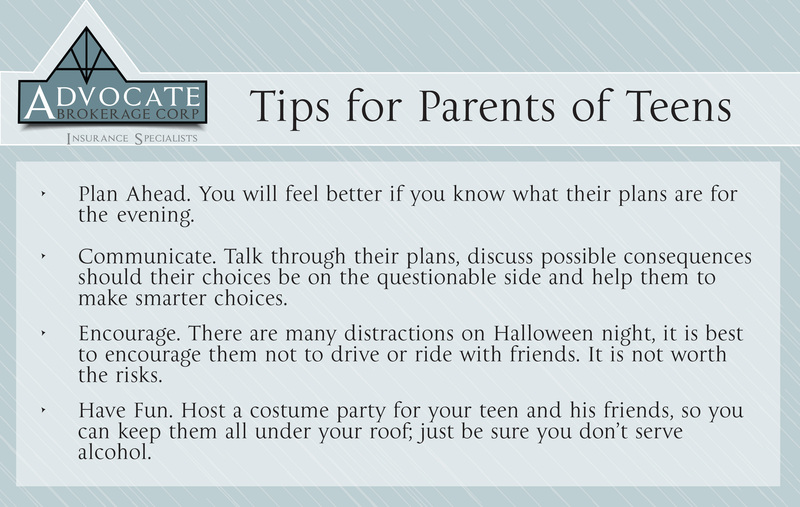 If you have teenagers in your home, you may view Halloween as a time of year to get through as opposed to a night to enjoy. Teens want to have fun with their friends and on Halloween especially, they can get into all sorts of mischief! From acts of vandalism to distracted driving to fun that involves alcohol, the lists of things that could put you at risk is heightened at this time of year. We at Advocate Brokerage cannot emphasize enough that if you are hosting a party in your home with teens in attendance that are underage and drinking, you could be held liable in the event that someone is injured. It is not worth it to put yourself, and your family at risk. While an umbrella policy will offer you some protection, the damage to your reputation can have a lasting effect.